PHUKET: The arrest warrant issued yesterday for a key suspect in the spate of bombings last Friday (Aug 12) that killed four people and injured 36 others throughout Southern Thailand was issued after DNA from a bomb in Phuket matched that of a known insurgent in the Deep South. 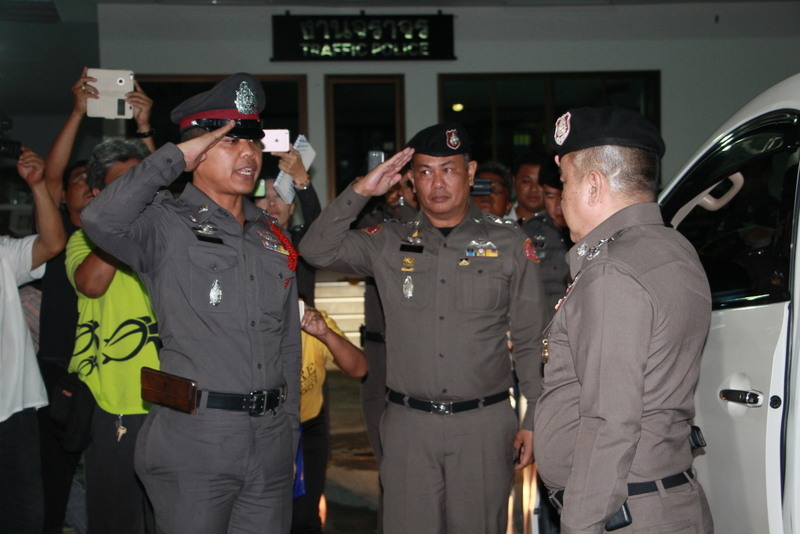 Royal Thai Police Deputy Commander Pol Gen Sriwara Rangsipramanakul broke the news last night (Aug 16) after flying in to Phuket to visit Patong and re-assure the public that police were making “good progress” in tracking down the bombers who staged attacks throughout Southern Thailand. Four people died and 36 were injured in the 11 bomb and arson attacks, carried out in five Southern Thailand provinces. 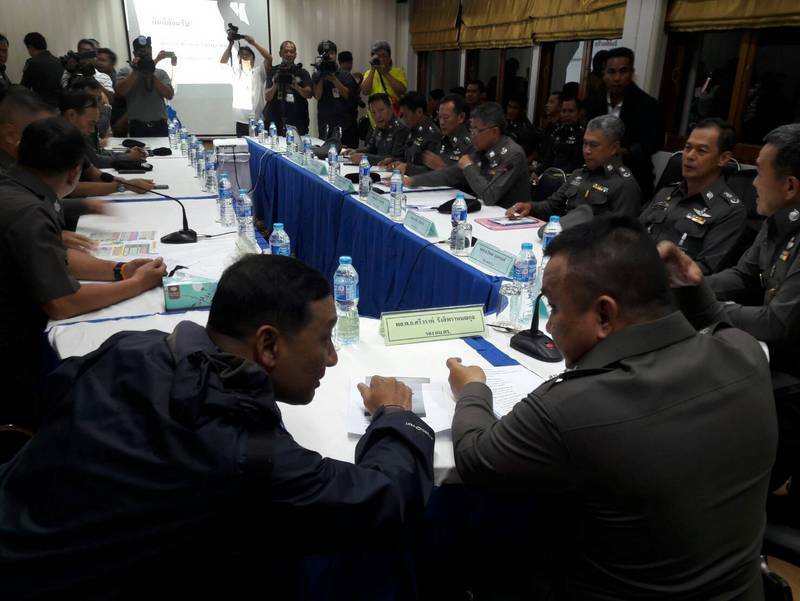 Gen Sriwara arrived in Patong at 7:30pm and was joined by Lt Gen Suchart Theerasawas of the Region 8 Police, who is leading the bomb investigation in Phuket, before joining Gen Suchart’s team of investigators for a briefing. “The investigation for Phuket has made a lot of progress,” Gen Sriwara said. “Today the military court of the 41st Army Circle in Nakhon Sri Thammarat issued a warrant of arrest for one suspect after tests showed DNA samples collected at the bomb scenes in Phuket clearly matched the DNA of a suspect involved in attacks around Tak Bai in Narathiwat since 2004,” he said. “Details of the suspect and our findings about him are confidential,” he added. Ahama Leng-ha is now wanted for assembling the bombs used in the attacks carried out last Friday. “Once the evidence is all clear we will get warrants for other people involved in the attacks. I cannot tell you now how many we will arrest, but we will bring them all to face justice,” Gen Sriwara said. “Regarding the mobile phones used in the attacks suspected of being imported from a neighbouring country, we cannot discuss this matter. It involves international relations. We are investigating this, but if this leads to the perpetrators, we are ready to bring them in,” Gen Sriwara said. However, in a follow-up report already marking that Thai police had sought assistance from Malaysian police in investigating the SIM card used in one of the devices found in Phuket, Malaysia state news agency Bernama yesterday reported that Malaysian police had found no conclusive evidence the SIM or the phone used in the Phuket attacks originated in Malaysia. Meanwhile, Gen Sriwara called for people to remain calm. “I want residents and tourists not to worry about whether the suspects will be arrested, they will. Police officers are doing their best and we will find the mastermind behind these attacks,” he said. 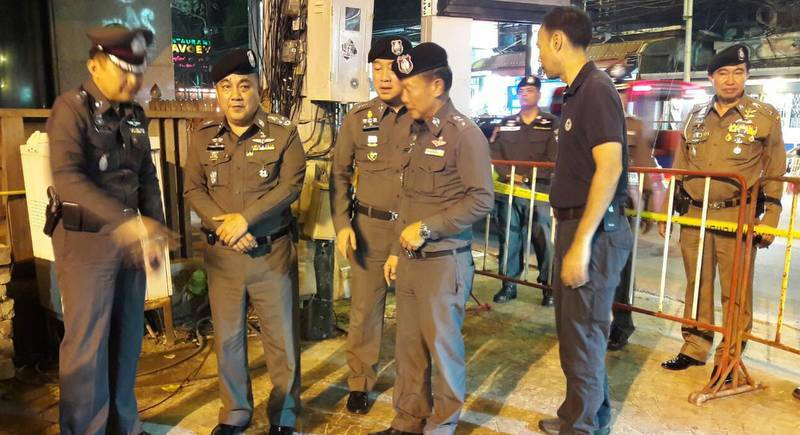 After meeting with the Phuket investigators, Gen Sriwara visited Paradise Plaza on Rat U-Thit 200 Pi Rd, where an unexploded device was found last Wednesday (10) and the police box on Bangla Rd, where one of the two bomnb in Phuket detonated last Friday. “The investigation has showed a lot of progress, but we still have a lot to do in gathering all relevant information to bring all suspects in as soon as possible,” Gen Sriwara said. “We questioned more than 10 key witnesses and question about 40 people who happened to be in those affected areas,” he added. “Officers also checked each CCTV carefully and they still have more footage to review, but so far some CCTV cameras have captured the faces of suspects very clearly. We will close our investigation soon,” Gen Sriwara concluded. Wow. lucky they have a DNA sample to compare it with, or is this just another "story," reminds my of "the boy who cried wolf." Seems far to often the cops have DNA evidence, but nothing comes of it.